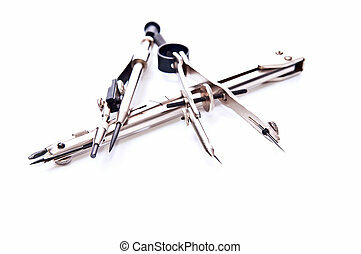 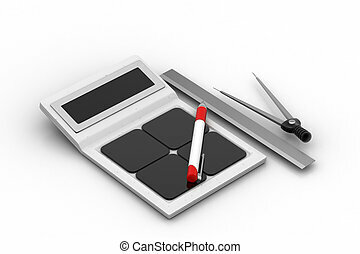 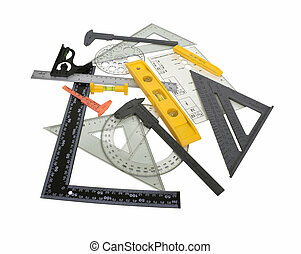 Engineering tools. 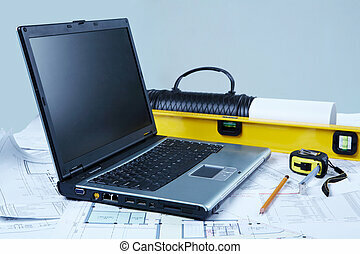 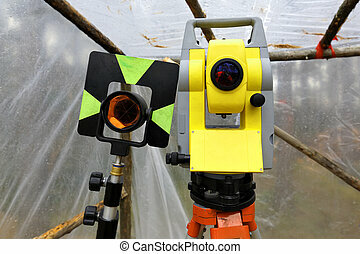 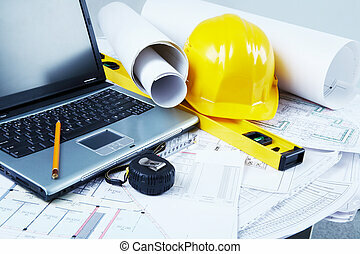 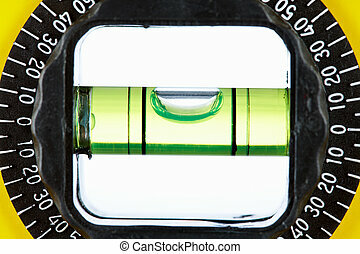 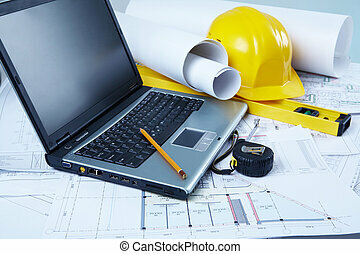 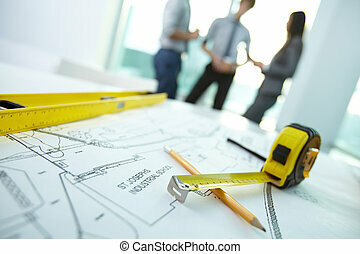 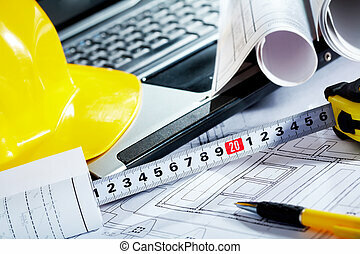 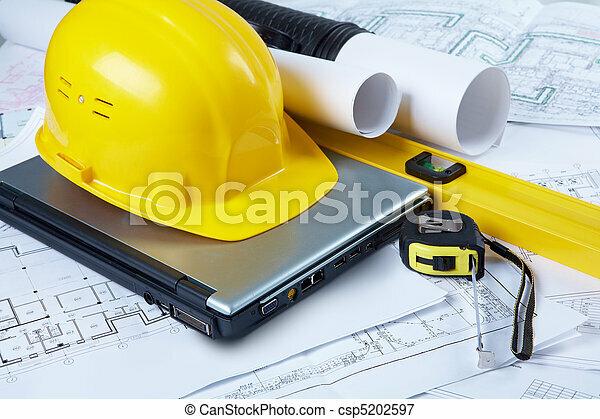 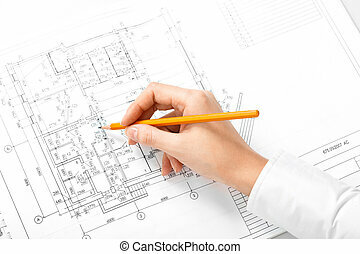 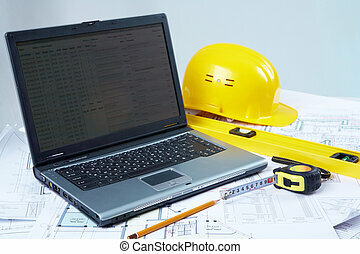 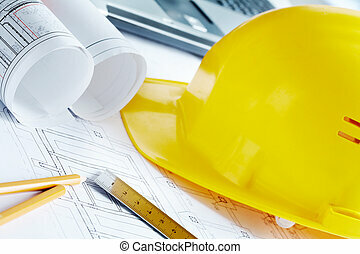 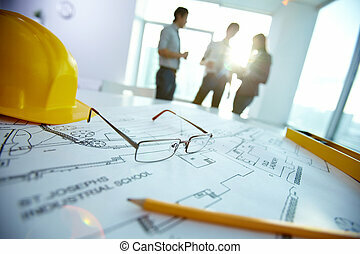 Image of yellow helmet over laptop with ruler placed on blueprint of house. 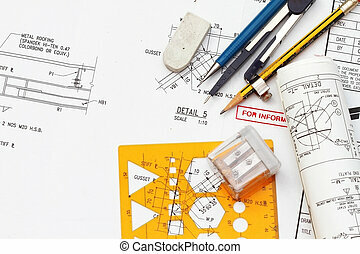 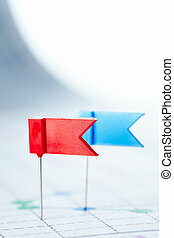 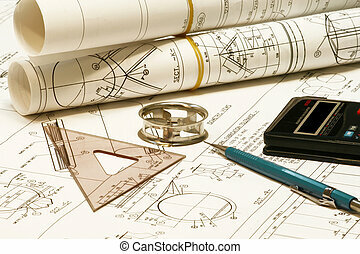 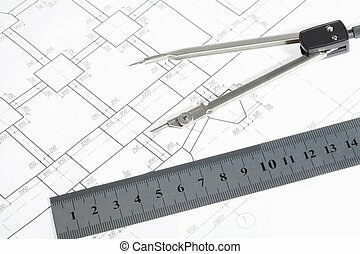 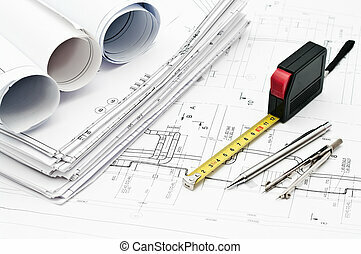 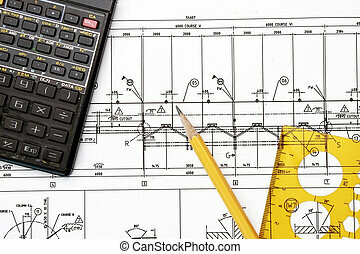 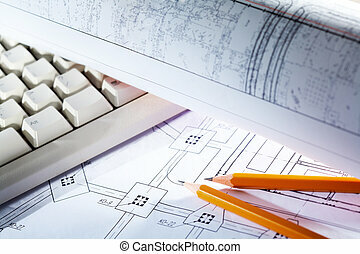 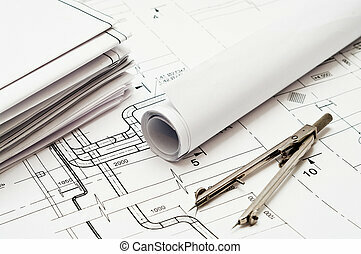 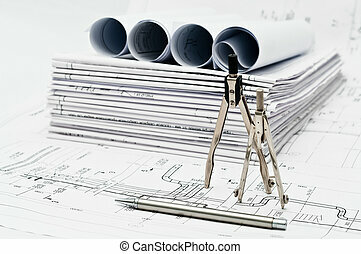 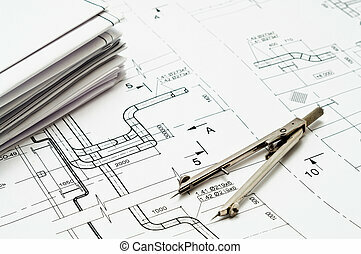 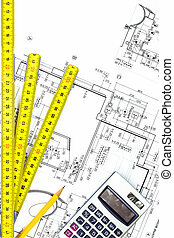 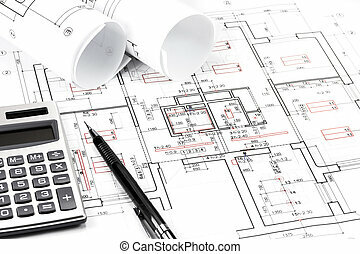 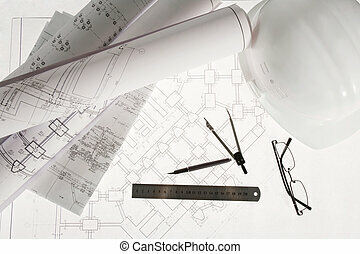 Blueprint, calculator, pencil and tempaltes - tolls in drafting works. 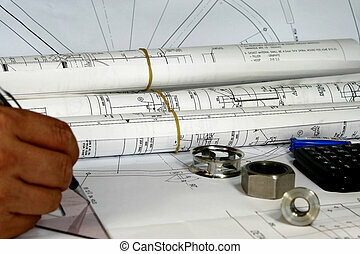 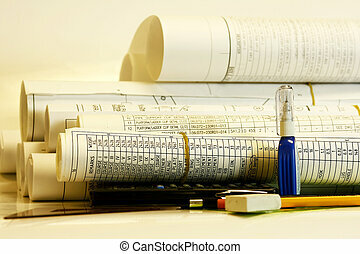 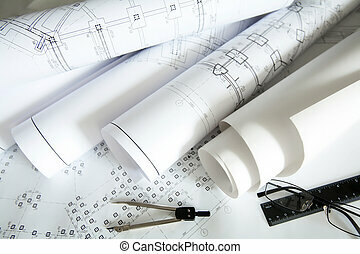 Roll of blueprints with pencil and templates.